Since 1952, we have been dedicated to providing the highest quality plant material for the Independent Garden Center channel. We grow over 2,000 varieties of trees, shrubs, vines, perennials, and patio plants providing a "one stop" source for green goods. 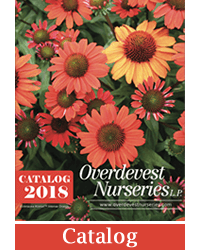 As a family-owned, wholesale-only nursery, we partner with leading independent garden centers and distributors throughout the Northeast and Mid-Atlantic states. Want to learn more about what makes us a preferred supplier to our customers? Click here to visit our Prospective Customer page. Follow us for pictures of what's blooming at the nursery!